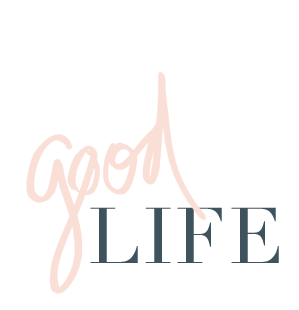 jillgg's good life (for less) | a west michigan style blog: botox Q & A... the pros and cons and my HONEST opinion about it! botox Q & A... the pros and cons and my HONEST opinion about it! 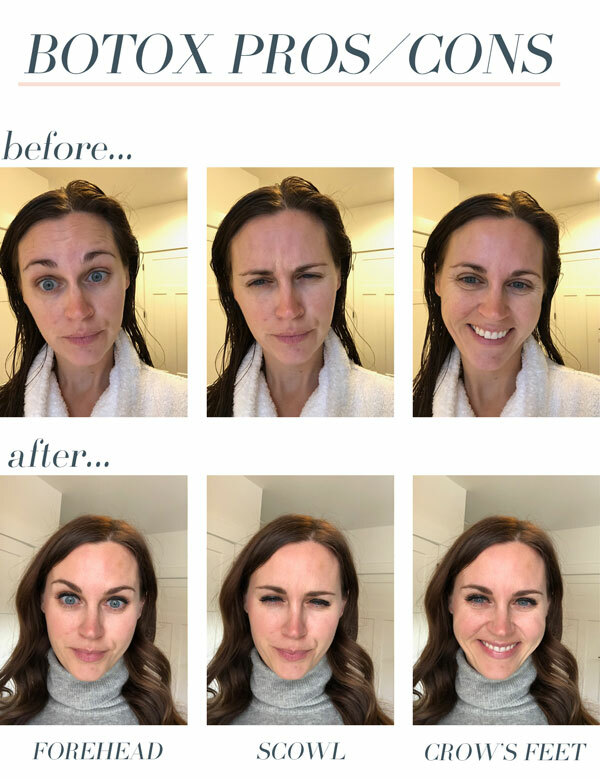 Today I am getting HONEST about botox here on the blog... all of it's pros and cons, why I like it, things I don't like about it, etc. etc. I will also answer a few questions you gals submitted to me about Botox via Instagram. I got my first botox injection a month before I turned 39 - about 18 months ago. Although many professionals will suggest you starting it much earlier for preventative reasons, it just wasn't on my radar before then. But as I closed in on my 39th birthday I noticed a few lines on my forehead were becoming quite persistent and I had a mindset that I wanted to go into my 40s very strong. I may be 40 years old but I don't feel it - I feel youthful, strong, healthy, creative and mentally agile. I want to make sure that my body reflects that too! Over the past year and a half I have gotten maybe 4 or 5 more injections. Botox usually begins to wear off around the 3 month mark and I haven't been religious about keeping up with it, but I usually go every 4-5 months or about 3 times a year. While I use tons of creams and lotions and potions on my face, if you have forehead wrinkles, scowl lines (the "elevens" as they are called) or crows feet they are almost impossible to treat with a lot of success at this age with just creams. My main concern was my forehead wrinkles, secondary was crows feet and my scowl line doesn't bother me much... but it still gets used (#momlife) so this is more preventative for me so the scowl doesn't get worse. As you can see from the photos below, on the left I am raising my eyebrows, in the middle I am scowling and and on the right I am smiling big so my crows feet show both before and after (top to bottom). I like to make sure that my injectionist doesn't go too heavy on the forehead so that I can still lift my eyebrows and make expressions. In my opinion, my face still has plenty of expression - just without the wrinkles. I by no means want to go for a fake/plastic look - I like my face! I just don't want so many wrinkles. Here are my honest thoughts on the pros/cons of Botox... in the end it's totally a PERSONAL decision and one you should talk to a professional with about the possible side effects. Beyond some minimal bruising I haven't ever had negative side effects and it's also FDA approved with rigorous testing and many years of research behind it. - It the most effective way to treat wrinkles on the forehead, crows feet and scowl (or "elevens") lines on your face. - Not only am I fighting wrinkles while my Botox is active, I am also fighting them long term as well since those muscles get a few months of "vacation" and over time aren't used as much to create long term wrinkles. - It's super quick with no down time, usually one appt lasts 20 minutes and my forehead is a little red but the nurse will put some tinted moisturizer on. - I feel super confident when my Botox is going strong, for me it's just an external thing that makes me feel good about myself. While this may not be true for some, I'm not afraid to admit it is for me. - While the Botox is active I find the need for less eye cream and serums - so there is a little savings there. - You can talk with your injectionist about your goals for your face and start very small - there is no "one size fits all" for Botox so you can start small with just one area or do the entire area. Botox is 100% personalized to you. - If your injectionist does it right, you can get a slight LIFT to your eyebrows by injecting the forehead. It's very slight, I think only I notice it but it kind of feels like a teeny tiny mini face lift in the eyes and I feel weird saying this: but I kind of like it. Talk to your injectionist about how to make this happen for you if you are interested. - It's expensive. I'll put that right out there. Med spas, salons and dermatologists offer Botox at varying prices around town. From my research the going rate is about $10 to $11.50 a unit. When I go to have my forehead, scowl and crows feet treated the entire treatment costs about $250 - $300. So yeah, expensive. You can sign up for Brilliant Distinctions which is a coupon program with Botox for extra savings and many times spas will run specials if you look for them. - It doesn't last long. My injections usually last for about three months... sometimes more like 2 months and two weeks. Which kind of sounds like a long time but I find that the time flies and I'm always thinking "it's time again!?!?" Whereas a new eye cream or bottle of a face mask can last up to a year this has a relative short shelf life for beauty products. - I personally bruise from the injections. Many people don't bruise but I usually get a few small bruises on my forehead or crow's feet area - just like pea-size bruises. I use arnica to help dissipate the bruising and makeup to cover it up but it's still a bummer. Not everyone bruises though, that's just me! - It kind of hurts! I mean it's super quick little pokes but it is a needle after all! - Sometimes Botox injections can cause headaches the day of or the day after. I experienced headaches the first couple times I had injections and not since then. This could be caused by the technique the injectionist used since I have since switched injectionists, but that is just a guess. Q. How quickly after the injection do the muscles stop moving? A. The general guideline is 3-14 days. I find that usually by the one week mark my muscles are fully "frozen". The smaller muscles freeze in about 3 days (like the crow's feet) and my forehead with bigger muscles takes about 7 full days. If you have an event coming up where you want to have Botox done in advance definitely plan on getting injections 7-10 days in advance. Q. Where do you get it done locally? A. I go to the Grand Pearl Spa. It's such a beautiful spa and I love their employees. Everyone is so nice. I see Pam and she is very good at her job and is great at listening to my wants/needs. I have also heard great things about Renewal Skin Spa. Q. I know you are into safe/clean beauty. How safe/clean is Botox? A. Botox is "safe" from a medical perspective. It has years and years of research behind it and it's FDA approved. As far as "safe or clean" from an ingredient perspective... it's not. It says right in it's name that it's toxic. So Botox doesn't fit with my "safe/clean" beauty routine at all and many purists in the safe beauty world don't encourage it at all. But for me it's a compromise. Kind of like how I always try to use reusable cups/mugs for water and tea but also sometimes get plastic cups at the Starbucks drive thru. Nothing is perfect. Q. Do you love it? Is it a noticeable difference for you? A. YES! 100% - I love it. Like I mentioned before it gives me a lot of confidence and I think it makes a huge difference on my face. And for that amount of money - it better! Q. How do you decide how many units to get? I've heard doctors can push you to spend more money and suggest more and more units. A. Unfortunately this is true and I have not only experienced this myself but I have heard of lots of similar stories. To combat this I would suggest first getting a recommendation of a doctor or injectionist that is trustworthy from a friend or listen around for reputable med spas/doctors. Secondly I would start SMALL. If you are worried about your crow's feet, get that done first, then add areas if you want. Third, be SURE to communicate your wants and talk budget with the practitioner you see. If you have a budget, tell them! If you are worried about getting more than you want start small and communicate it right away. Remember - its your body! You say what you want! Q. How often do you get injections? Q. Do you upper eye lids feel saggy afterward? Or lower lid feel puffy? A. So ONCE when I got Botox I had the super heavy eyebrow feel that can sometimes happen with Botox. My eyebrows didn't actually LOOK heavy, but they felt heavy. I personally think this happens when the injectionist is too heavy handed on the forehead. But don't quote me on that since I'm not a professional, that's just my experience! Like I mentioned above I think that when the forehead is injected just right you actually get a LIFT instead! So again, watch out for injectionists that go overboard. I have a friend that had the side effect of lower lids getting puffy after Botox. From my understanding this is very rare. Again, be sure to talk with your injectionist about all these worries beforehand! Q. I've heard that after many years of Botox, fillers become necessary, thoughts? Thoughts on fillers in general? A. I haven't heard this about Botox, but again... ask your practitioner because he/she could shed light on that. I have no intention to add fillers to my face at this time. I know there are women that do it and look amazing, but it's just not for me right now. I think fillers can really start changing the look and shape of your face, especially after prolonged use when you aren't taking breaks in between and I like my face! I never say never - but fillers aren't for me now. Q. Do I feel like I still look like myself? A. Yes I personally do. I feel like the same me with younger skin when my Botox is active. Again, I try to go light on it and remind the injectionist the same when it comes time to update it. So I think that helps. Q. How do you get your husband on board when he doesn't think you need it? A. So the first time I got Botox I could tell my husband was a little annoyed but he wasn't admitting it. He like most husbands are hesitant at the price and wonder if their wives will look different or just think it's totally unnecessary. But after the first time I got Botox he was impressed. He agrees that it's not drastic and instead quite subtle - leaving my skin looking fresher and younger. If you've never tried it before but really want to and are dealing with a hesitant husband I would suggest explaining to him why you want to try it and that it's important to you. Most guys (or at least my husband) just want to know "WHY" and maybe in the end he will like it too! I hope this post was helpful if you are thinking about getting Botox for the first time. Keep in mind I am NOT a medical professional - so always talk about any concerns you have with your practitioner. If you have any additional questions feel free to ask them in the comments!